Hei Leah, thank you for commenting on my work so positively. Firstly about why botanical artists are more likely to use watercolour than acrylic. I can of course only answer for myself. I know that with the combination of perhaps acrylic inks and acrylic paints I might be likely to be able to paint delicate detail, but for me I feel acrylics might be too heavy looking although I know acrylics are vibrant colours. Perhaps it is my lack of skill with the medium. I know that when painting something where I need something very white, the White of the paper is the best white – if you have to use white paint, the White becomes dulled. If I painted with acrylic I would have to use white as I understand the whole surface is covered with paint. Wherever possible I try to use watercolour paints that are transparent and rarely opaque. This keeps the colours I choose, more vibrant. There are quite a few flower painters who use acrylics and some also also use body colour, but there are fewer who use this medium for pure botanical art and illustration. I also use coloured pencils as they are translucent and again one uses the White of the paper as the whitest are. The watercolours that I have in my palette are mostly Winsor & Newton, although I have one Maimeri – Cyan. It is the same phthalocyanine pigment as W&N Winsor blue green shade, but not quite so strong and therefore very useful to me. I also have one Sennelier colour, several Daniel Smith and one or two Schmincke. Hei Gail, they are from Ikea. I think they are really intended for having a laptop on your lap, but are really useful in a class situation as they take up little room and are at a good angle for smallish artwork. Hei Linda, thank you for those lovely words. You asked about Caran d’Ache pencils. They are a fairly soft pencil although you can get a good point on them. They do have a lot of good colours, but the greens I use most are Faber Castell, in addition to some of the pale pencils from Caran d’Ache that they don’t have. I normally advise my students to get the colours as they need them as many of the colours in whichever set you use, you probably won’t use. In particular the blue-greens, because when using a pale colour with them they often turn a ghastly shade of green that isn’t really botanical. But, I have to say that I have the sets for several manufacturers. My excuse is that you never know which colour you might need and they are all subtly different. Thank you very much. I’m not sure what Escher would have to say! His work is so extremely well planned it is incredible. I just moved to Norway and I am very interested in botanical art. Could you recommend me any clubs societies to contact? Thank you! Hei Sophie, it is good to hear from you and I hope you will enjoy it in Norway. If you let me know where you live then I will have a better idea of who I can put you in touch with. Generally speaking there does not seem to be the same amount of interest in botanical art, but that’s why several people who are interested in it are trying to turn this around. 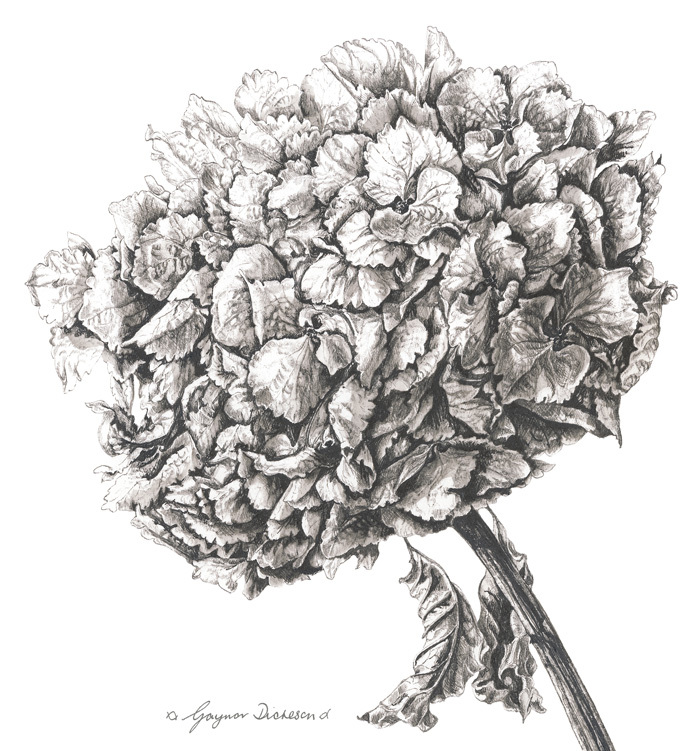 Tone Minde is the person to get in touch with about the Norwegian Botanical Art Society, a new started society. Send me your email via the contact form on my website and let me know where you live. I will be holding a workshop week I Åsgårdstrand, the last week in June. This is in Eastern Norway, south of Oslo. I am so happy that you offered your help. I just write you a message, I hope you got it! Hei David and Denise, I’m afraid we won’t be doing it this year, but you can still come round when you are in Bosham. I am interested in your workshop at the “Manor” in France in September 2017.. Where do I find details as to what the fee is for this workshop? and what materials do you suggest one should bring? Thank you for any information. I am glad that you are interested in the botanical art workshop holiday. You will find the prices when you download the booking form that you will find on the website page about the holiday. Bring your usual materials. You can choose to paint either in watercolour or coloured pencil. I teach in both media and as the class will be small, it gives me the time to show techniques in both media and help everyone individually. Dear Gaynor. I love drawing in pencil but so badly need some tuition as I’m at a loss going forward. I’m really hoping I’m not mistaken in thinking you may have a workshop in Bosham. I have been looking at your art work and find it inspiring. I live in Rowlands Castle. So looking forward to your reply. Hei Jackie, Yes I do have workshops in Bosham and I can probably help you. I will email you. Hei Jackie, Yes I do have workshops in Bosham an might be able to help you. I will email you. I just discovered your beautiful work. I enjoy drawing flowers as well, and noticed your “easel” in your video of drawing crabapples. It looks like a comfortable angle for working and I was wondering where you purchased it. Thank you for your kind comment. I think that I bought the easel from Jackson’s Art Supplies which you can also access online. This is the only similar item I could find on that website: https://www.jacksonsart.com/vistaplan-trimline-drawing-board-with-continuous-wire-parallel-motion-a1-uk-only. Thank you for any help. That should work fairly well even though there is no lip along the bottom edge of the board. I have seen some of my students with similar boards and they use a couple of big bulldog clips to hold the paper. I have just discovered your beautiful work. I enjoy drawing flowers, and am interested in the “easel” shown in your video of drawing crabapples. It looks like it’s at a comfortable angle for drawing. Where did you purchase it?